Following their Vitality Hockey Women’s World Cup London 2018 win last weekend, Netherlands remain the world’s number one women’s team in the FIH Hero World Rankings. In taking their eighth World Cup title thanks to a 6-0 win against Ireland in the final, the Dutch retained top spot, a position they have held since October 2011. Netherlands have been on an impressive run as of late, having not lost a match since 29 July 2017. It was Ireland however who made the biggest of gains as they moved from 16th up to eighth position after securing the silver medal following their historic run to the Vitality Hockey Women’s World Cup final. Their previous highest ranking was 14th. England (Great Britain) remain in second spot following their sixth place finish in London while Australia jumped up to third, leapfrogging reigning Pan American champions Argentina, who move to fourth and Commonwealth Games champions New Zealand who dropped to sixth. Germany meanwhile move up to fifth. Spain took the bronze medals in London to achieve their highest ever finish in World Cup history. Their 3-1 victory against Australia has seen them move up to seventh in the rankings. Asian rivals India (9) and Korea (10) round out the top 10, while China (11) and the USA (12) drop further down the rankings. The next women’s FIH Hero World Rankings will be updated following the conclusion of the Hockey Series Open in September 2018. 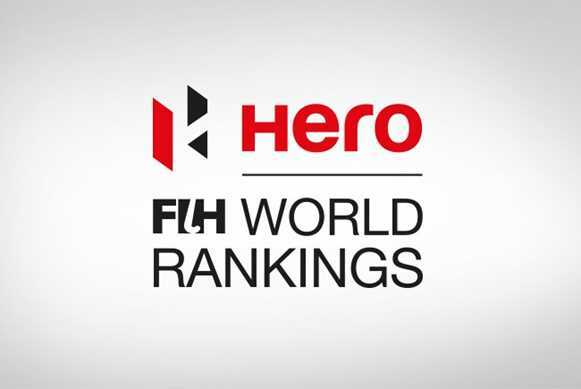 For the latest FIH Hero World Rankings for women’s teams, click here.